Venus and Mars joining the Sun and Moon party very closely. Plus the surprise master guest Uranus (at 9 degrees) will throw the unexpected into the instant mix and produce some unusual results from your actions. The New Moon is in the 3rd decan of Aries which is ruled by the great benefic Jupiter. Zeus is in the Heuse so things are well starred. Time to implement and act with perfect trust. It does not matter if you do not have the whole plan or see where the whole path leads step by step. All that matters is that you put your heart and self boldly on the road and trust. Once you have done that, intuition will help you and flashes of insight and the urge to act spontaneously. The steps you take will take you on a philosophical journey too and broaden your horizons. This is a dry, barren, masculine sign so it is an ideal time to destroy weeds. It is an excellent time for beginnings, so you would be well advised to turn the soil and prepare it for planting. Magickally, it is a fresh and enthusiastic Moon to start new ventures. But ensure that you do not lose your original enthusiasm as Aries are noted for launcing themselves into something full throttle at the start and then getting bored and losing the momentum.This is an ideal time for quick results workings as the New Moon in Aries energy would be very in tune with that. Also any working that has to do with the self, especially the beginning of a reinvention or an image change would benefit from this energy. It is an ideal time to look for your new athame/dagger as Aries resonates with iron and sharp things. If there is something that you want to launch that requires a little courage, this is the time for lift-off! 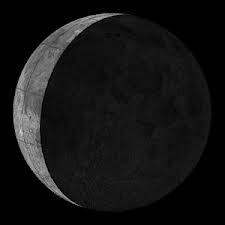 This is a good Moon sign to work with health matters to do with the head, face and brain. This entry was posted in Dreams, Language and The Unconscious, Magickal Workings, Moon, Reiki and Energy Work and tagged New Moon, New Moon 13th April 2013, New Moon in Aries. Bookmark the permalink.